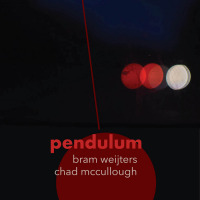 Chicago-based trumpeter Chad McCullough and Belgian pianist Bram Weijters present Pendulum, the pair's fifth recording together. Their discography includes three excellent quartet outings on Origin Records, including Urban Nightingale (2012), and a duo date, Feather (eyes&ears, 2017). Pendulum follows in Feathers' footsteps to the extent of instrumentation, with Weijters wielding an array of keyboards (Wurlitzer, Rhodes, Moog) to expand the sound possibilities; but it strays from the path with a more pre-conceived concept. "Twelve hours on a clock, and the hour hand circles twice. Twelve tonal centers in music give us 24 harmonic centers (major and minor). Bram Weijters has worked this into a suite which draws inspiration from complex clockwork and the organizational concepts of J.S. Bach..."
That sounds like a project of weighty complexity. But in the listeningas with the experience of encountering the works of Bachthat complexity can be set aside for an immersion in the beauty, serenity and simple allure of the sounds. As with Bach's the Well Tempered Klavier and the The Goldberg Variations, Pendulum creates a sense of the didactic, of a divinity of mathematical precision to these sounds of classically-influenced composition melded with modern improvisation. This twenty-five movement suite is a trumpet/keyboard journey built on subtle variations, a patient roll through the harmonic centers. It is a soothing, alluringly edifying and gorgeous listening experience. Track Listing: Opening; A Different Light; Raindrop; The Same Prelude; The Same Melody; Still Dark; Suspended Weight; Crackle; Spiral (part one); Escapement; The Same But Different; Ratchet Wheel; Different Prelude; The Same Path; Which Way; The Same Waltz (part one); Crystals; At Ease; The Same Twelve Notes; Spiral (part two); The Same Waltz (part two; )Different But the Same; Pondering; A Different Night; Closing. 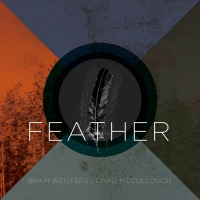 Personnel: Bram Weijters: grand piano, Wurlitzer, Rhodes, Moog; Chad McCullough: trumpet.